"There are no second acts in American lives," wrote F. Scott Fitzgerald, which is often true but also often not. Two of America’s premiere post World War II playwrights, Arthur Miller and Edward Albee, despite periods of audience neglect and critical dismissal after their initial great successes, have both enjoyed celebratory second acts late in their careers. The elder Miller, in particular, has been elevated to the de facto status of national cultural treasure, as his major plays enjoy significant revival here and abroad (the recent revival of The Crucible being his latest success), and his cultural pronouncements resonate in a wide public arena. Although he has not quite achieved Miller’s late enshrinement, Edward Albee’s recent record of critical and popular acceptability is nonetheless formidable. At present, his daring play The Goat or Who is Sylvia? holds the Broadway stage and has won most current critical awards for new drama. A few years ago Albee enjoyed considerable success Off-Broadway with The Play About the Baby (1997). The onset of Albee’s reemergence from the slough of The Lady from Dubuque and The Man Who Had Three Arms, in the late seventies and early eighties, began with the considerable success (Pulitzer Prize, et.al.) of Three Tall Women in 1991. And when dramatic reputations reascend, revivals inevitably follow. Earlier this year the McCarter Theatre in Princeton, N.J. offered a production of Albee’s difficult play All Over which, under the sponsorship of the Roundabout Theatre, has recently transferred to the Off-Broadway Gramercy Theatre where it will play through the summer. Recalcitrant is the most generous word with which to summarize the dramatic strengths of All Over, which began as a short piece titled "Death" and was extended to its current full-length form in 1971. (Were it written today it would be in one long act.) The plot is minimal. A great man lies dying in his elegant townhouse while his "significant others"–his wife, mistress, children, best friend, and family doctor unburden themselves verbally during their final vigil. It is significant that it is not by individual names but by relational abstractions that the characters are identified: the Wife, the Mistress, the Son. We are offered not full characters but fragments of the primal allegory of family. The voices are not traditionally individualized, but partake in a collective rumination on the fact and price of mortality. As for the dying Great Man himself, it is never disclosed wherein his greatness lies. What was he? A politician? A great writer? Why he is so famous that reporters are besieging his residence? (With the aid of a disgruntled offspring they actually penetrate the inner sanctum at the end of Act I.) No, all that is learned about the great man comes indirectly from the comments and actions by the vigilantes. (It would be mislabeling to call those on vigil "loved ones" because some of them clearly resent every second they feel they have to attend.) Most of what is spoken is meant to kill time as language unwinds in long formal perorations that are confessional and self-referential. As the Wife says: "All we’ve done . . is think about ourselves. What will become of ME." Yes, yes, yes: This is the dramatic problem. Though the imagery of its expression is admirable, the elegant bitching of the characters repels rather than attracts. 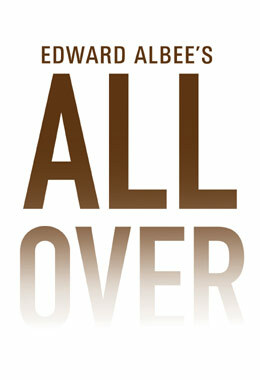 To expose a dessicated, spiritless social class may well be Albee’s social point (consider that the play was written at the end of the sixties), but there is almost no satiric comedy in this somber play, and naked egocentric grievances by unattractive people do not normally compel dramatic attention. Parent-children relationships are particularly abominable. The Great Man’s children are complete washouts. The Son is an undistinguished nonentity going through the motions of propriety and the Daughter is worse, an aggressive neurotic nastily put down by her supercilious mother. "You were beautiful," says the mother to her daughter, "Once." This rejection of parenthood underscores the central motif of the play: betrayal. The play’s most startling revelation concerns the suicide of the Best Friend’s wife in the aftermath of a brief affair between her husband and the Great Man’s Wife. The Wife, herself abandoned, shares the civilized vigil with her successor, the Mistress, the play’s most humane character, who in many ways is just a softer version of her predecessor. All in all, the play moves away from character toward abstraction. Death’s universality evidences the need to create values, to forge personal relationships which can generate meaning by themselves. How to produce such a play? In 1971 director John Gielgud spread the characters hieratically across the wide proscenium of Broadway’s Martin Beck Theatre, and Jessica Tandy as the Wife and Colleen Dewhurst as the Mistress generated the performance power. Within the much smaller confines of the Gramercy Theatre, current director Emily Mann has opted for a more realistic approach as a richly detailed elegant room contrasts the downstage characters with the upstage image of the curtained dying bed. Unfortunately scenic realism breeds realistic character expectation, leading to the anticipation of more individualizing detail than the playwright chooses to provide. Gielgud’s abstract approach more successfully illuminated the play. Also, Albee was better served by the acting in the earlier production. Colleen Dewhurst brought a passion to the Mistress that explained why the Great Man abandoned his wife for her. Michael Learned in the current production gives an intelligent, nuanced reading of the Mistress, but doesn’t project the energy, physicality and sexuality that Dewhurst displayed with abundance. But if there is one regard in which the present production surpasses its predecessor it is in Rosemary Harris’s portrayal of the Wife. As good as Tandy was she neither found the dimensions of complexity that Harris finds nor displayed the vocal instrument that Harris here reveals. Indeed, following the brilliance of Harris’s performance in the revival of A Delicate Balance in 1996, this performance confirms that she has come to represent for Albee what Dewhurst became for O’Neill: the perfect corporeal representation of the playwright’s vision of Woman. She projects a definitive authority no other cast member can match. As the cliche states: That alone is worth the price of admission.